The Google Pump System - Software Factory, Inc. If you have a website where you’re selling a product, but your hit counter is stagnate, and you aren’t making any sales, even though your product is in demand, then it is about time you shift gears by letting an expert traffic producer show you how to get your hit counter spinning like a top in 15 minutes or less! an you answer these questions? Are you really making a ton of money from your site? Do you have a product everybody would want but just can’t sell it? Have you found other people in your industry doing well but not you? I always wondered this myself, considering why I was not making money. I couldn’t figure out why my website wasn’t producing sales. Sad feeling isn’t it when your website is not productive? Maybe you spent your last dollar on something you liked but realized you had no more money and complained about it. Maybe you are just sick of being broke and wanted to do more for yourself? What adds to the wound is that you have friends who are on the Internet and are making money hand over fist. Why are they so successful with their website and you can’t? Wouldn’t it be good to have a website that is not only getting a huge amount of traffic but is making a ton of money for you as well? I have a friend who put up his website and once day I saw his website stats. I was shocked when I saw the amount of hits he was getting per day. The numbers were lousy. Obviously, he was doing something wrong. Do you know what is even worse than what my friend was doing? It is that most of you people are in the same boat. You aren’t doing the right thing and that is why your hit counter is just sitting there staring at you, waiting to turn. You may have bought books to help you learn to optimize your website for better ranking. You may even have hired someone to optimize your web pages for you. The result is not good. You wasted your money in books that didn’t teach you anything. You wasted your money paying to have your web pages optimized, only to see your ranking has not improved. Blame Yourself For Your Misfortune! Do you know what is even more discouraging? Those books were written by someone who didn’t even know how to optimize web pages. He just did the research and wrote the book. Most of the text is research material that is based on theory but was never tested. It really frustrates me when I see people spend needless money on something that is not going to help them. I can say this because at one time I was also doing the same thing. I tried to optimize web pages to get high ranking but failed. 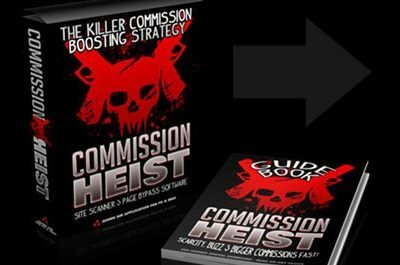 I tried every trick in the book to get traffic to my website but failed. Why did I keep failing? When I applied this secret method to my own website, I could not believe my eyes. I literally saw my hit counter go from 100 hits (I just put the site up a week before) to 1000 hits in just 15 minutes. So could you imagine that if you applied this method to your website you could also get a huge amount of traffic pumping to your website within 15 minutes? In fact, I know several people who did use my secret method and told me how much their traffic increased. They were getting bombarded with not only huge amounts of traffic, but also requests for link exchanges. In order to get to this moment, I did a lot of research, performed tests, a lot of trial and error, until I finally came up with a secret method that will help anyone who has a website get traffic pumped to their website. Now I can make this secret method available to you. Think about this for a moment. When you get up each morning and log into your email do you get a lot of request for links? Or do you see a ton of sales recorded from your website? Do you love what you are doing with your website? Are you making a ton of money from what you are selling? Are you getting a ton of inbound links from all the traffic you are getting? Are you actually getting a lot more traffic than you did before? Do you see your hit counter spinning like a top? You may be thinking to yourself you know how your website is doing. You also may be thinking why you should listen to me. Who am I to talk about getting traffic to a website? If you have heard of me, I am not one to give BS to anyone. When I make a claim, I mean it. But if you have not heard from me, let me introduce myselfâ€¦. My name is Andrew Traub. For quite some time I was involved in many ventures. I didn’t do all that well. I did make a living but nothing to brag about. I started businesses online, only to fail them within a few months. One business I actually started online and it lasted two year. Unfortunately, that business eventually died. The owners of successful websites had a strategy they used that worked. They developed a template from their success and used this repeatedly when starting other businesses online. Once they learned what worked in getting traffic they used it consistently. They developed the right mindset and used it to their advantage. It was obvious to me once I did the research, the reasons for the failures and the successes. I also learned many secrets of how to get traffic to my website. Once I learned the secrets and applied them, I kept what worked and what didn’t work, I discarded. Before I knew it, I had a proven strategy and used it on myself first, with tremendous results. You may not realize this but you can get unlimited number of laser targeted leads in any niche to your website, or any website you choose and generate a large number of inbound links. And what is really amazing about it is it isn’t hard to do. It doesn’t take a scientist to understand it. Hey, I see my bank account getting stuffed every day with hordes of cash. And it never stops. I am literally seeing thousands of dollars go into my bank account every week. Does this sound like something you want for you? Do you want to wake up each morning, check your bank account, and see thousands of dollars show up each day or at the end of each week? What a dream right? No this can be your reality. It just takes a moment to apply what is in my secret method and you can’t go wrong. And now I am making this available to the general public. What I have developed is a five-step process that will guarantee you will get a ton of traffic even as quickly as 15 minutes. You will learn all the secrets to pumping traffic to your website so you can get a ton of traffic and inbound links. No more struggling to get traffic. You will get more than you hoped for. ONLY system that will teach you how to get huge amounts of traffic and inbound links to your website and in less time it takes to read this entire letter.What my secret method will do is help you learn how to pump traffic to your website on a consistent basis, while also developing inbound links, of which Google loves.When Google indexes your site, they will notice your inbound links and will bump your website up in the search results resulting in higher page ranks! The first step in the traffic pumping system is to create a set of highly targeted keywords and phrases that apply to your product and niche. This step shows how this is done. In this section, you get to see exactly how to create this highly targeted list of keywords using free Google tools as well a few others that don’t cost you a single penny! This is a very important step most online marketers tend to skip over quickly and suffer huge losses in profits. But you will learn how to avoid this mistake forcing you into profit from the start! In fact, many online marketers don’t realize the power of questions! Strategically designed questions that contain your top keywords or keyword phrases can be extremely effective when it comes to driving massive traffic to your websites in record time! If you do not have a Gmail account, this step will show you how to do it. This may seem like a very trivial step in this system, but in fact, it’s the most important! Many new-comers to online marketing don’t realize how many free and VERY powerful tools that Google provides. Google Alerts are no exception. If a keyword term is appearing like crazy from your alerts then the odds are very good that, not only are people posting the question online, but are using this exact keyword phrase. This means that link juice from these pages is very valuable. If you are not sure what link juice is, read the guide. It explains it. With the method you will learn how to re-pump your exit traffic back into your site with an alternative offer such as a discount or free download. Marketers who did this experienced an increase in website sales by as much as 325% in a few days. Learn how to do this. This method can really help your website pull in more money without sending more traffic to your websites. Read it to learn how. What you read above is just a taste of what you will get when you order The Google Traffic Pump System. There is just so much more to say I could go on and on. I promise you this type of product is not sold in stores. It is only available here. Since introducing The Google Traffic Pump System to the general public, I have received a ton of emails from my customers, thanking me for producing such a powerful system that actually does what I stated it will. To it may concern,I was skeptical about ordering your product at first, considering all the hyped up books on the market. But I went ahead and man, am I glad I did. The information was straightforward. I applied what I learned and when I saw my stats a week later, I literally threw my hands over my eyes. I couldn’t believe what I saw. My website was averaging 1000 hits a month. After applying what I learned, I received 1000 hits the first few days. What an amazing jump.I told a friend of mind my results, and he told me he was going to order a copy. You definitely have a great product. Keep up the good work. Hello,This is Ed McHugh. I must say, I thought I knew it all about websites and getting traffic. I had read all the books available. I attended seminars on the subject of getting traffic. So why bother with another book. But, a friend of mind purchased this and found his traffic numbers increase dramatically. He encouraged me to give it a try. So I did. All I can say is I am amazed. You produced such a simple but powerful book. The language was easy to read. I understood everything. There was no guess work involved. I began to apply what I learned after reading the first step. I could not believe how much I did not know. I read the entire book in one night and applied what I learned the next day. I looked at my stats in one hour after taking all the steps and noticed quite a jump in traffic. Your product really works. I also found the videos very helpful, it really showed me how to do each step without any guess work. I would have paid full price for just the videos alone! Thank you, for developing such a truly amazing package. All I can say is wow!What an incredible ebook you created. I created my website with the idea to establish a web presence and hope to make good income as well. After I made my website live, I honestly did not know what steps to take next. All the people I talked to did not know the answers. They just told me what they knew. I was getting desperate. Then one day I did some research using the keywords â€œtraffic generator,â€ and saw your website. I was impressed by your ideas and decided to give it a try. Man, I sure went to school. I began to apply what I learned and soon found a lot of traffic coming to my website. Before I knew it, I was actually getting orders. Wow, how can I thank you for creating such a wonderful product? How Much Do You Think It Is Worth To You To Have My Secret Method By Means Of The Google Traffic Pump System? Before you try to answer the above question, think about this â€¦ Once I applied my secret method I found my website traffic increase dramatically. I also helped others increase their website traffic. Hey, I did all the hard work for you. I did a lot of research. I did a ton of testing and tweaking. I did everything I could to create a fantastic product that you can benefit from. I’ll go one step further. You can take all the money you spent on books that you thought would help you, only to find you wasted your money. I was told my program is priceless. One customer told me I could have sold this product for thousands of dollars. So what do you think my product is worth? Remember, you have a product that when used will push traffic to your website like a pump. Why offer this new powerful product at such a low price? My goal is to help those who have websites get the traffic they deserve. I want to help people who don’t know how to become successful with their websites, to get good results from it. You will GREATLY INCREASE the catch of getting untold amounts of traffic then if you were to use another strategy. You will save MORE money from the money you spend on products that don’t work. You will find your website will be RANKED HIGHER in search results because of all the inbound links coming to your website. Yes! If for whatever reason, you do not see huge amounts of traffic to your website, and better ranking due to a huge amount of inbound links, then within the first 60-days you can ask for your money back. I’ll refund every single penny you invested, and we part as friends. Once you actually put my proven step-by-step secret method The Google Traffic Pump System to work for you, I’m confident you’re going to be satisfied with the results you will get time and time again. You will never see this type of product anywhere. You can only get it here. It is the only unique secret method for getting a ton of traffic to your website no matter what niche you have. But I have great news for you. You are not just getting The Google Traffic Pump System e-book. I am going to sweeten the pot even more by offering you these FREE bonuses worth $394. Keyword Research Made EasyIn video 1 you get to see exactly how to quickly build a large list of laser targeted keywords required to siphon massive traffic from Google using FREE tools only!HINT: You will learn more than just the basic Google Keyword tool that everyone uses! There are other hidden Google tools that many online marketers don’t even know exist! How to Format Your Keywords Into Traffic Pumping QuestionsThis simple but powerful method will seed your traffic into hyper drive! You will see how to format your laser targeted keywords into traffic pumping questions guaranteed to bring in the exact traffic your online business requires for maximum profits! How to Setup Your Gmail AccountThis quick and simple video will show you how to setup your new Gmail account for huge traffic action! Plus, you get to witness a real live account that has been collecting laser targeted leads ready to take action! How to Setup Your Google AlertsThis is truly on of the most important steps and formulates the hub of this super-effective and powerful system.You also get to see exactly how this works using the example explained in the system ebook. How to Pump The Traffic to Your WebsitesIn this final step you see how the real magic works and get to witness the true power of this system.Here is where you put everything together to build one of the most successful systems guaranteed to drive targeted & hungry buyers to your online business. How to Increase Profits With Traffic Re-Pump Methods This was a last-minute addition to this bonus package, but a valuable resource for dramatically increasing your website conversions.This video covers 2 very important and super-powerful methods that re-pump lost traffic back into your websites that you would have normally lost!This involves cutting-edge new technology that most online marketers don’t use. To be honest, most online marketers or product owners don’t realize how much traffic they are losing right now!Did you know that you lose 95% of your website traffic within the first 5 to 7 seconds that people arrive at your website? This video shows you how to re-pump ALL 95% of that LOST traffic back into your product funnel. In most cases this can result in a 300% increase in sales! to be the MOST powerful part of marketing since the beginning of the internet! Don’t throw away your valuable time and sacrifice sales with extensive testing … instead, simply borrow my proven results to instantly boost your website conversions! changes that are simple and very easy to implement! 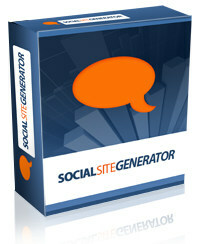 In fact, nearly every trick can be implemented in your web site in less than 5 minutes each. in how & why your web site visitors will take action. The most important element REQUIRED near the bottom of EVERY sales page guaranteed to increase conversions! An easy-to-insert top element most sales pages lack resulting in lost sales. You’re probably losing sales right now if you don’t have it! The one “universal” magic number of keywords required to pull-in sales time and time again. The #1 element proven to siphon customers into any sales funnel across any market! Bad words … good words, the words that increase sales every time! The BEST 3 words you need to use over and over again! There you go. You have such a tremendous opportunity in front of you. If you act right now you get all the above including the amazing bonuses. But remember, the bonuses are only available for a short time. Act now and place your order so you don’t miss them. Also, you need to act now, because I am planning to raise the price of my product soon. I do not know when, but I will soon. So take action now so you can enjoy the product at the low price offered. P.S. 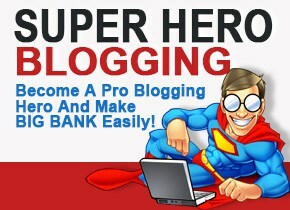 Remember, this is the only secret method that will guarantee you huge traffic and many inbound links. Do not forsake this chance to get more traffic to your website. P.P.S. Remember! You have my 100% money back guarantee stamped on this offer. If for whatever reason you do not see huge amounts of traffic to your website in a short period of time, just let me know and I’ll refund your money. No questions asked. P.P.P.S. Please note the price is only $47.00 for a Short Time! Once I decide to pull the plug, the price will go up. So take advantage of the low price now while it is still at $47. I normally don’t send testimonials mostly because several products I purchase online are not very good to say the least. But your Google pump methods are very easy to implement and only took me about 20 mins to setup. So, I just want to say thanks for delivering what you actually promised and massively over delivered with the bonuses and extras not even mentioned on the sales page! and great bonuses by the way. I already applied the re-pump on a couple sites with great results!